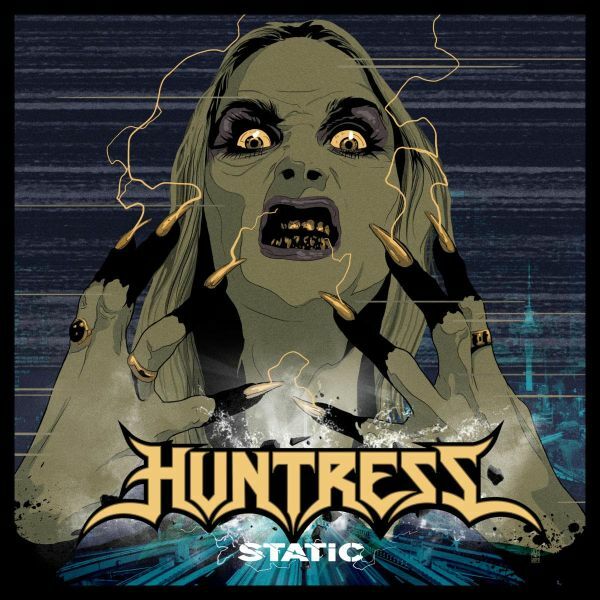 The evolution of Huntress bleeds into Static our third and most prolific album. It is the heaviest and catchiest record we’ve written. The process of writing and recording was new and exciting, at times very difficult for all involved, having to record in between relentless touring. Never have I been so honest in my approach to songwriting; I reveal life-long personal obstacles that I previously feared weaving into my lyrics. I’m so pleased to reveal the cover art for Static by my treasured art warlock Vance Kelly. Hail Heavy Metal!